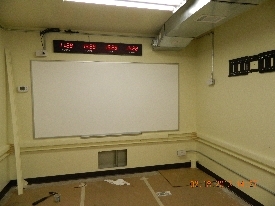 SCIFs are manufactured at Ebtech in Connellsville, PA. Standard sizes as well as custom configurations are available. Ballistic and blast protection (UL, NIJ, GSA) including PBIED, VBIED, mortar and rocket threat mitigation by integrating Mil-Tough® blast and ballistic panels or all welded ballistic steel construction or other lightweight ballistic materials are available. Ebtech Industrial SCIFs are custom designed in our controlled plant environment and delivered ready to use after connecting power and communications to the pre-wired ports. The modular design facilitates allow for rapid deployment and relocation, thus making it a cost effective solution for multiple missions. Ebtech SCIFs meet ICD 705 and JAFAN 6/9 requirements for all environments. 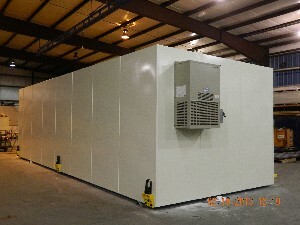 SCIFs can be based on ISO container construction or are built to any size requirement from ground up using ¼ steel. SCIFs meet or exceed government standards for sound requirements and RF attenuation. Armored SCIFs can be provided incorporating Ebtechs extensive experience with blast, ballistic and RAM building protection systems. ISO SCIF containers are available in 20 and 40 lengths . These units are easily shipped via truck, air in a C-130 Hercules, C-17 Globemaster or C-5 Galaxy, or shipped overseas via commercial container vessel. Ebtech SCIFs will be a fully designed turn-key unit and includes electrical, lighting, HVAC, pre-wiring for communication and data centers and intrusion detection system. 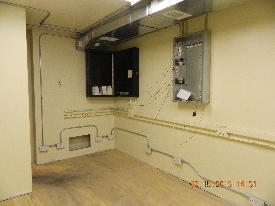 SCIFs can include generator, UPS, server racks, office installations. Assistance with accreditation package submission (Facility Checklist and TEMPEST addendum) can be provided. 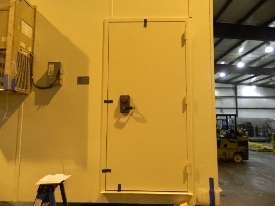 Field sound tests (noise reduction tests) on Ebtech SCIF enclosures can be performed in accordance with ASTM E 336. STC results or Noise Isolation Class (NIC) ratings can be conducted in accordance with ASTM E 413. RF attenuation test results can be provided.